This is a scalable context timeline. It contains events related to the event October 10, 1986: State Department Official Repeats Lies about Contra Knowledge to Conservative Columnist. You can narrow or broaden the context of this timeline by adjusting the zoom level. The lower the scale, the more relevant the items on average will be, while the higher the scale, the less relevant the items, on average, will be. 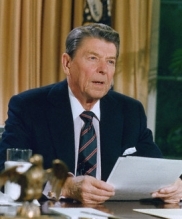 President Reagan signs legislation that bans arms sales to nations that support terrorism (such as Iran), and strengthens US anti-terrorism measures. [PBS, 2000] The law, entitled the Omnibus Diplomatic Security and Antiterrorism Act of 1986 [White House, 8/27/1986] , does not halt the Reagan administration’s sales of arms and weapons to Iran; the arms sales go forward in spite of the law explicitly prohibiting them (see September 19, 1986, Early October-November, 1986, October 5, 1986, Early November, 1986, and November 3, 1986). 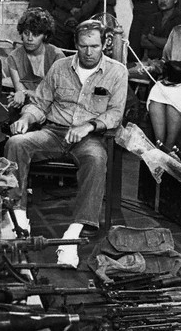 Eugene Hasenfus sits among the weapons captured from his downed cargo plane. His Sandinista captors surround him. [Source: Nancy McGirr / Reuters / Corbis]A CIA C-123 transport plane (see November 19, 1985) is shot down in southern Nicaragua by a Sandinista soldier wielding a surface-to-air missile. The transport plane left an airfield in El Salvador with arms and other supplies intended for the Nicaraguan Contras. 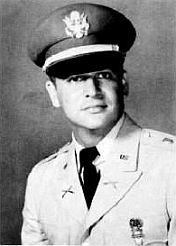 Three crew members—US pilots William Cooper and Wallace Sawyer, Jr, and an unidentified Latin American—die in the crash, but one, a “cargo kicker” named Eugene Hasenfus, ignores CIA orders and parachutes to safety—and capture by the Sandinistas. Hasenfus is a construction worker from Wisconsin who signed on to do temporary work with CIA contractors, and has no intention of “going down with the plane.” The next day, newspapers around the world run stories with Hasenfus’s face peering out from their front pages. Two-Pronged Attack - Two key sources of information for Washington media insiders were targeted, Parry says: the “fiercely independent” CIA analytical division, whose analyses had so often proven damaging to White House plans when reported, and the “unruly” Washington press corps. Casey targeted the CIA analysts, placing his young assistant, Robert Gates, in charge of the analytical division; Gates’s reorganization drove many troublesome analysts into early retirement, to be replaced with more malleable analysts who would echo the White House’s hard line against “Soviet expansionism.” Another Casey crony, Walter Raymond Jr., worked to corral the Washington press corps from his position on the National Security Council. Raymond headed an interagency task force that ostensibly spread “good news” about American policies in the foreign press, but in reality worked to smear and besmirch American journalists who the White House found troubling. According to Parry, “Secret government documents that later emerged in the Iran-Contra scandal revealed that Raymond’s team worked aggressively and systematically to lobby news executives and turn them against their reporters when the reporters dug up information that clashed with Reagan’s propaganda, especially in hot spots like Central America.” It was easy to discredit female journalists in Central America, Parry says; Raymond’s team would spread rumors that they were secretly having sexual liaisons with Communist officials. Other reporters were dismissed as “liberals,” a label that many news executives were eager to avoid. Working through the news executives was remarkably successful, Parry says, and it was not long before many Washington reporters were either brought to heel or marginalized. 'Perception Management' - Reagan’s team called its domestic propaganda scheme “perception management.” Parry says: “The idea was that if you could manage how the American people perceived events abroad, you could not only insure their continued support of the foreign policy, but in making the people more compliant domestically. A frightened population is much easier to control. Thus, if you could manage the information flows inside the government and inside the Washington press corps, you could be more confident that there would be no more Vietnam-style protests. No more Pentagon Papers. No more My Lai massacre disclosures. No more Watergates.” The New York Times and Washington Post, the newspapers that had led the surge of investigative reporting in the 1970s, were effectively muzzled during the Reagan era; Parry says that the two papers “became more solicitous to the Establishment than they were committed to the quality journalism that had contributed to the upheavals of the 1960s and 1970s.” The same happened at the Associated Press (AP), where Parry had attempted, with limited success, to dig into the Reagan administration’s Central American policies, policies that would eventually crystallize into the Iran-Contra scandal (see May 5, 1987). Few newspapers followed the lead of AP reporters such as Parry and Brian Barger until late 1986, when the Hasenfus air crash provided a news story that editors could no longer ignore (see October 5, 1986). But, Parry says, by the time of the Iran-Contra hearings, few news providers, including the Associated Press, had the stomach for another scandal that might result in another impeachment, particularly in light of the relentless pressure coming from the Reagan administration and its proxies. By June 1990, Parry says he understood “the concept of ‘perception management’ had carried the day in Washington, with remarkably little resistance from the Washington press corps.… Washington journalists had reverted to their pre-Vietnam, pre-Watergate inability to penetrate important government secrets in a significant way.” The process accelerated after 9/11, Parry says: “[M]any journalists reverted back their earlier roles as stenographers to power. They also became cheerleaders for a misguided war in Iraq. Indeed, you can track the arc of modern American journalism from its apex at the Pentagon Papers and Watergate curving downward to that center point of Iran-Contra before reaching the nadir of Bush’s war in Iraq. Journalists found it hard even to challenge Bush when he was telling obvious lies. For instance, in June 2003, as the search for WMD came up empty, Bush began to tell reporters that he had no choice but to invade because Saddam Hussein had refused to let UN inspectors in. Though everyone knew that Hussein had let the inspectors in and that it was Bush who had forced them to leave in March 2003, not a single reporter confronted Bush on this lie, which he repeated again and again right through his exit interviews in 2008” (see November 2002-March 2003, November 25, 2002, December 2, 2002, December 5, 2002, January 9, 2003, March 7, 2003, and March 17, 2003).